I made cheesy stuffed pasta shells for Sunday dinner. I first saw the recipe (link has paywall) in Cook’s Country magazine, a gifted subscription by my parents. 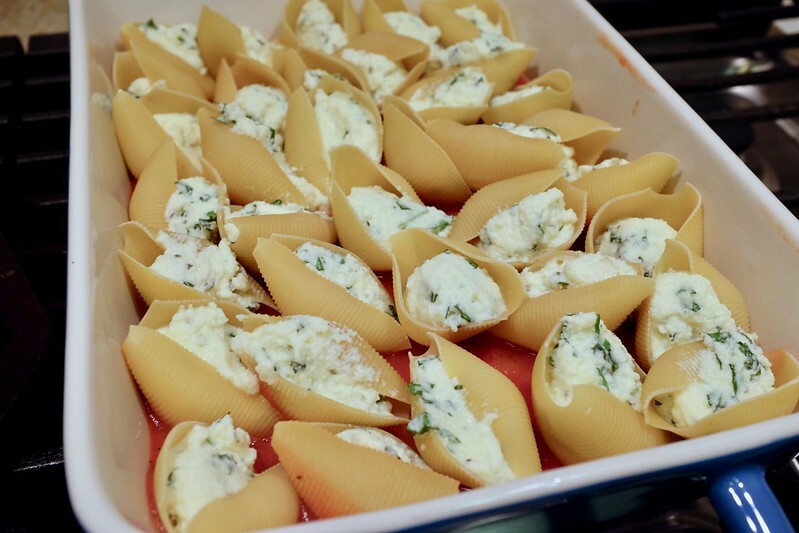 Stuffed pasta shells has always been one of my favorites; I have a classic recipe that is always my go to. The appealing thing about this recipe was that I didn’t have to precook the pasta shells before filling them. I could simply stuff and bake them straightaway. Convenience usually wins out with my cooking. I served it with some nice, thick, roasted asparagus spears. They were a good compliment; a savory vegetable with some bite in contrast to the smooth, creaminess of the pasta and cheese. Overall, I’m happy with the way they turned out, I might add this into a regular (monthly) rotation. 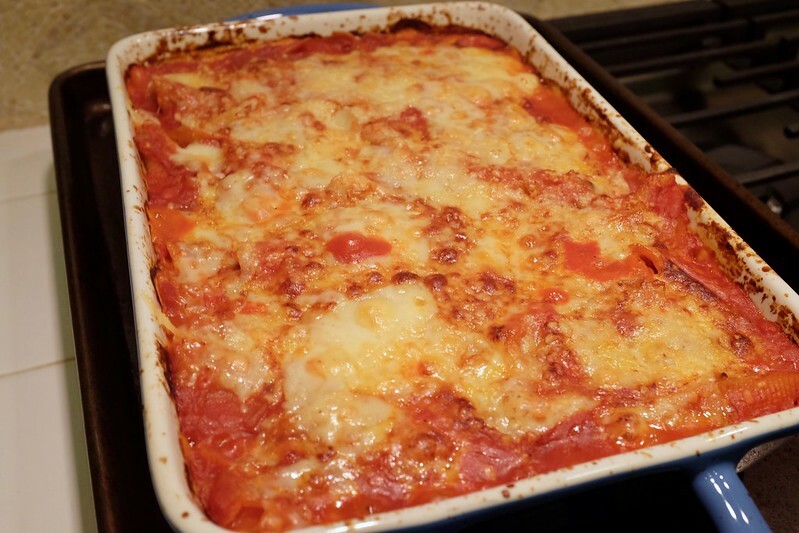 It’s actually more like a lasagne than traditional stuffed shells. One huge difference in recipes like this is when you make the sauce from scratch (versus using a premade jarred/canned).